April 11, last Wednesday, was Iona Day. Never heard of it, you say? That’s because it’s my own private holiday. It’s the day that, two years ago, I visited the island of Iona, Scotland, and it became part of me. This tiny island just three miles by one, isn’t on any of the lists of tourist destinations in Scotland: Edinburgh Castle, Isle of Skye, Loch Ness. And it requires an arduous journey, requiring six legs of travel just to get from the mainland to the island and back. Yet, of the two and a half months I spent studying abroad in the British Isles, that weekend side trip is the one that still nestles most closely to my heart. The water is unbelievably clear–it’s a stunning, Bahamas turquoise blue, with powdery white sand on the Iona shore. It made me feel like I was in a little Mediterranean, in the wrong hemisphere. Stepping off the boat, it was like entering a dream. The island has very limited cars, so the air is serene, and often silent, in a way you can’t get in a city, or even a regular town. This is a sacred city, an island wholly devoted to worship and prayer. It is like a cloud away from earth–a place of solace, a haven and sanctuary from the world. There was an ineffable grace about it that I can’t even describe. It made me want to weep and sing and stay forever. It is not just a city, but an island of God. It was simply magical, and yet more than that–a stairway to heaven? My companions and I had only 2 1/2 precious hours to spend on shore, but they were beautiful. We had a picnic in the garden of the ruined nunnery, with butterflies on the hyacinths and daffodils in the sun. We walked through the ancient graveyard, where it is said Macbeth is buried (though I tried in vain to find his headstone), and I had the privilege of praying in a 900-year-old chapel. I just about died with delight. The abbey has ancient Celtic crosses in front of it, and peaked windows that let in shifting patterns of light. Sheep graze all about, and it makes sense that the Lord is our shepherd. Candles burn in the windows, and I saw prayers rising like incense. It is truly a place of peace, an island so practiced in worship that it is almost a scent you can breathe in on the air. And to see gardens blooming beside ancient stones–there’s something here that is out of my reach to express, but that touched me deeply. It’s not even worth asking if it was worth it to take six forms of public transportation to get here. 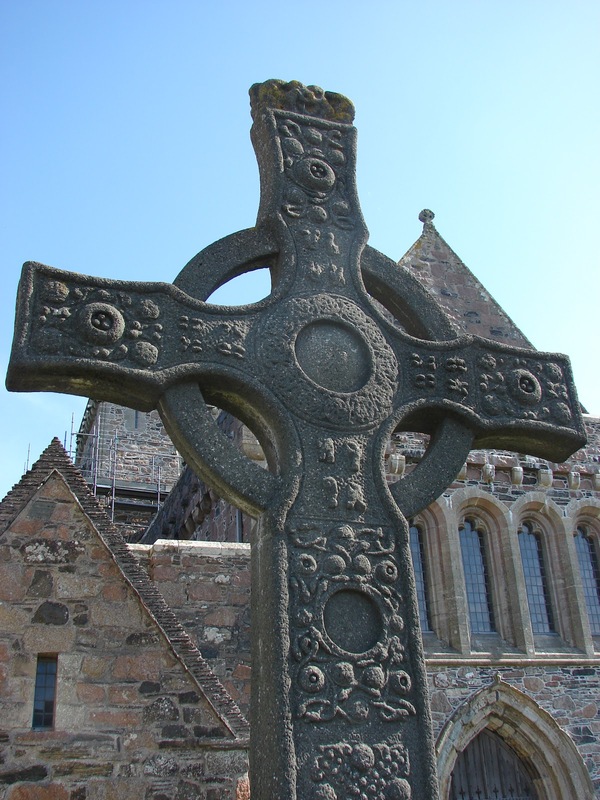 Iona Day is a time to remember this beautiful and healing place. Someday I’d love to go back. How cool! I have a friend who’s going there to study Norwegian this summer. Do you have Norwegian roots? Not that I know of. I just decided I wanted to go there, so I went for it. By the way, studying abroad must’ve been a fantastic experience. This island sounds like a magical place. The same thing happened with me in Norway. Thankfully I was fortunate enough to be in a position for a while where I was able to go back twice. My circumstances are different now, so I have no idea when I’ll be able to manage it again. I’m looking into going back to school for a college degree so I can change careers. I wonder if there’s some study program in Norway I could take advantage of? ;)Anyway, I hope you can return to Scotland one day. I think I understand its importance to you :)Oh, and please share more pictures and stories of your time there. I’m sure I’m not the only one who would enjoy them. I love the purity of your journal entry and that you were willing to share with us. Place has such an impact on us, at least on me. And it seems you as well. Iona looks like an amazing place. I couldn’t help thinking the actress Ione Skye was named (either by her parents or self-stage name?) after this lovely place. I have to say I’m always in awe of new places but if hard-pressed to pick a spot, I’d say Wales. The high hedges and lovely hills were magical. Thanks for sharing. How captivating your descriptions are! Makes me want to go there, truly. The Yucatan in Mexico is such a place for me–Chichen Itza and Coba pyramids. There is something unseen that you feel and that touches you deeply–you can’t quite capture it in words but you sure can feel it. Thanks, Cora! I was at Chichen Itza when I was 5 years old…most of what I remember has to do with discovering the early signs of claustrophobia inside the pyramid 🙂 But how wonderful that it still enchants your memory. I think that’s the most special thing about traveling–the sense experiences, the conversations, the moments of getting lost or losing your train tickets or eating ice cream on a street curb–things you can’t get from a coffee table book. What a great experience! Your descriptions are very moving. For me, Morocco is the place that is most a part of me for many reasons: my first international adventure, travelling with my daughter, meeting some great people and being able to give back while getting so much in return. Italy is another place like that for me. The scenery, the art, the food… An amazing place. 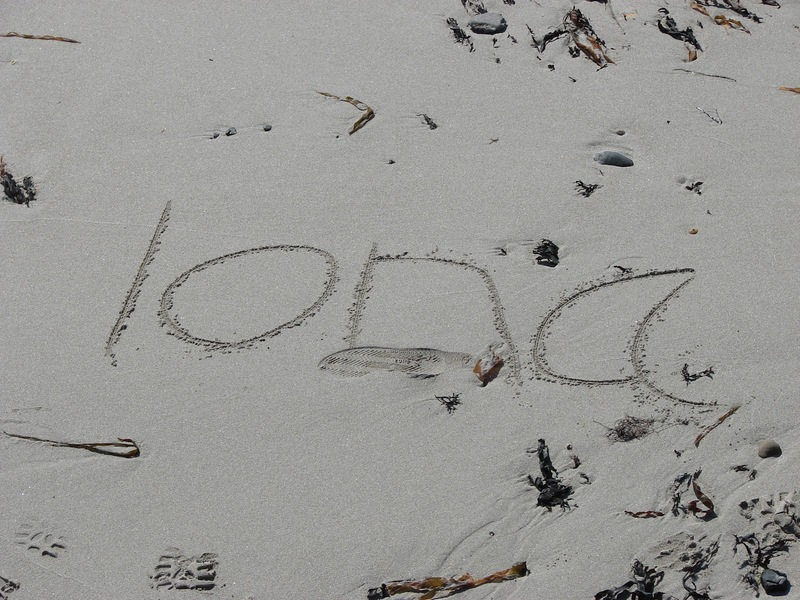 One of my friends went to Iona as part of her study abroad term in Scotland. I would love to go there some day!For me, York (in England) near Christmastime was the magical place. I spent a long weekend there with the same friend (she came down from Scotland, I came up from London) and loved every minute of it. I’m not sure if going back would recapture the magic–it might’ve been a confluence of a number of factors.I also love Hong Kong (got engaged there!) and am fascinated my Mongolia, though it’s a place out of my comfort zone. Oh, York at Christmas! How magical! I bet there was lots of great choral music going around at that time 🙂 But I know what you mean–finding magic in a place has a lot to do with the time and people when you’re there–like you, I have no idea if I’d experience the same feelings if I returned to Iona.